When we think of Italy, the first thing that comes to mind might be its amazing ancient history, its stunning natural beauty, or its wonderful food and wine. 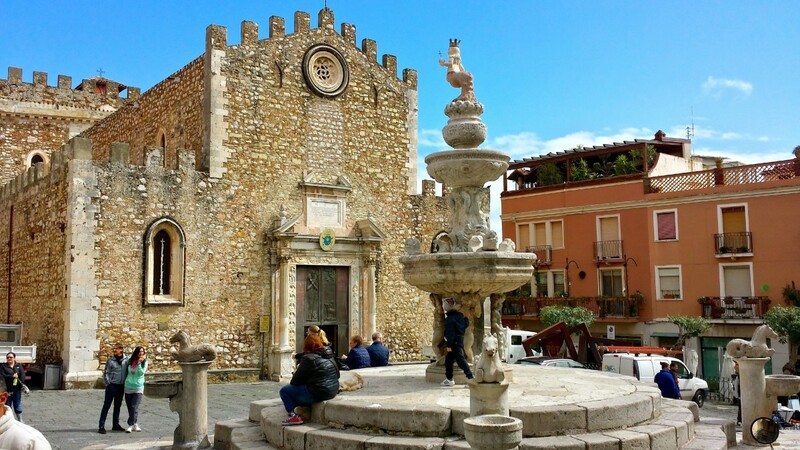 With a few thousand years of history behind it, there is certainly much for Italy to brag about. One thing few visitors realize is that Italy is home to some of the most dangerous and active volcanoes in the world. 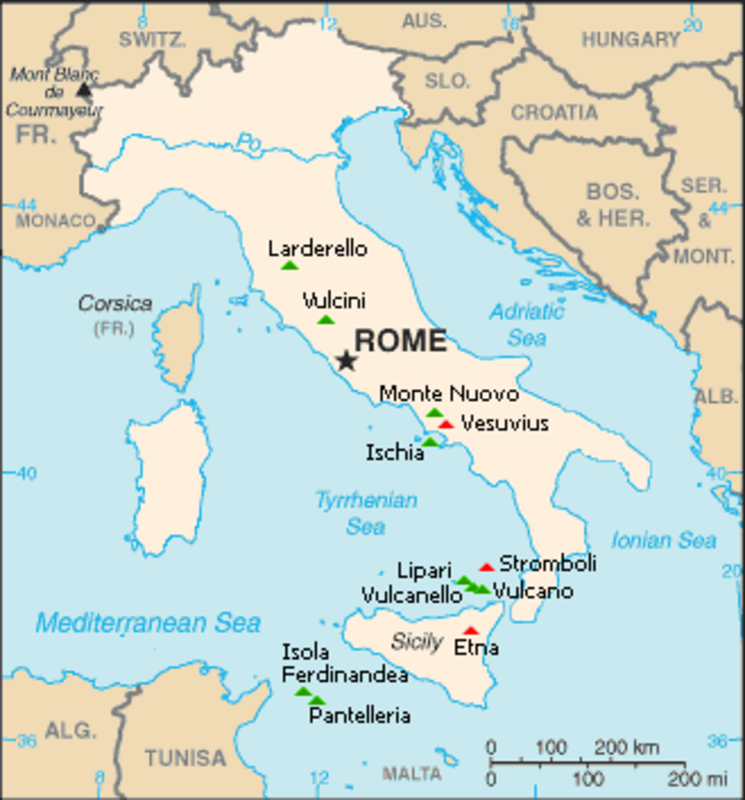 With over two dozen volcanoes, Italy is the only mainland European country with active volcanoes. This heightened activity is the result of the boundary between the African tectonic plate and the Eurasian tectonic plate being located just to the south of Italy in the Mediterranean Sea. It is thought that the subduction of one plate slipping under the other is causing the upward forces that are responsible for Italy’s active volcanoes. Italy’s volcanoes are part of the country's long legacy of natural disasters which include devastating earthquakes, floods, and volcanic eruptions. Some of the country’s most popular vacation destinations happen to be the result of past volcanic eruptions. Of Italy’s three active volcanoes, two of them are currently listed as having continuous volcanic activity, an undeniable distinction. 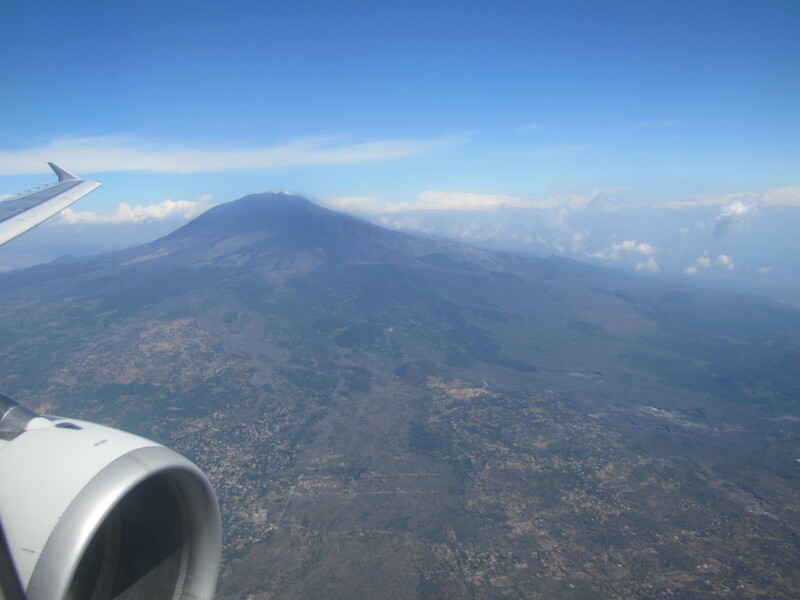 The granddaddy of them all is without a doubt, Mount Etna. At over 10,900 feet in elevation, this stratovolcano is not only the largest volcano in Europe but also the most active. Mount Etna currently has the longest documented period of eruptions in the world. It has been placed on the United Nations list of “Decade Volcanoes”, a list of the sixteen volcanoes that have the ability to have the most destructive eruptions due to their proximity to populated areas. Mount Etna is less than twenty miles from Sicily’s second largest city, Catania, with a population of about 300,000 residents, and the seaside community of Taormina. 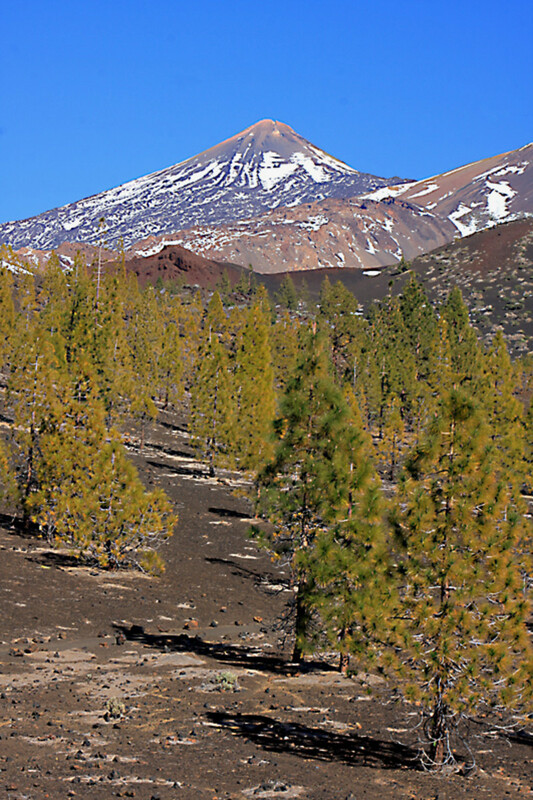 While Mount Etna is considered to be in a constant state of eruption, not all of its eruptions are the same, and they don’t all cause loss of life or property. With six craters and literally hundreds of vents, the mountain is capable of producing a variety of different eruptions from devastating lava flows to simple venting of gases. Mount Etna’s last major eruption that caused significant damage was in 1928 when the town of Mascali was completely destroyed by a lava flow. Other major eruptions have occurred with some frequency and average at least once per decade. Some of these eruptions have narrowly missed destroying towns and some lava flows have been diverted with barriers and blasting the landscape to change the direction of flow. The last decade has been a particularly active one for Mount Etna as there have been almost yearly significant eruptions. 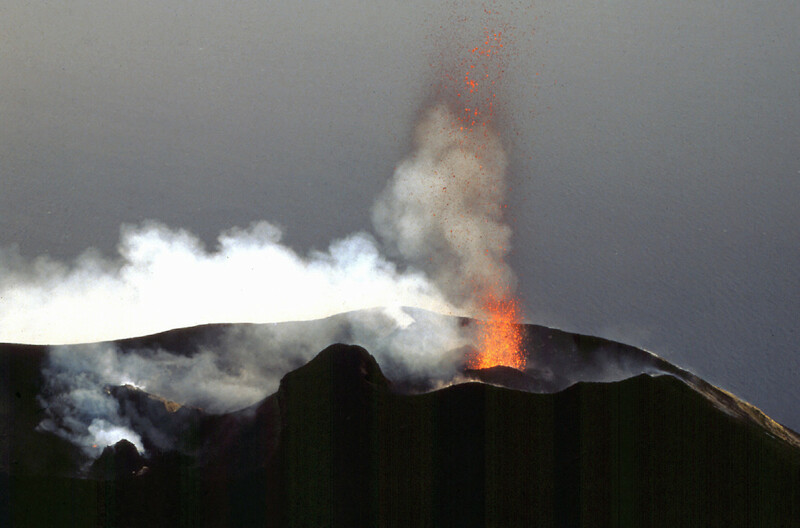 The volcano has had many minor eruptions in 2012 with the latest occurring in early December. Despite all of the volcanic activity that takes place on the slopes of Mount Etna, it remains one of Italy’s most popular destinations and offers winter skiing and summer hiking and exploring. Most of the organized tours of the volcano leave from the Sapienza Rifugio station, which is located on the southern slopes of the volcano at about 6,500 feet. This area is pretty much the hub of activity for the mountain and has a large parking lot to accommodate visitors (fee). 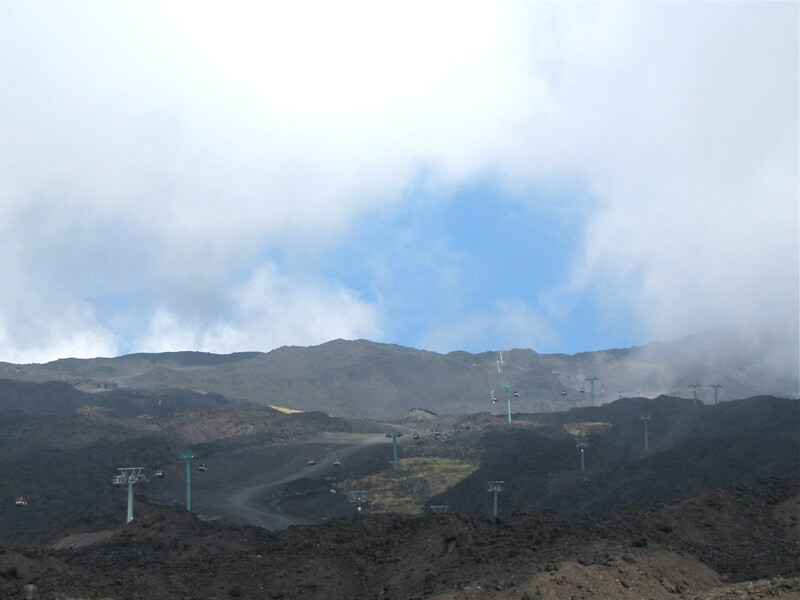 From here you can take an organized tour of the mountain, take the chair lift up to the upper reaches of the volcano for hiking or skiing, or hike the many trails that originate from here. There is a mountain lodge for those wishing to spend the night here as well as a few food options and gift shops. Many organized tours will pick you up at locations in Catania and Taormina but you can also make the drive to the Sapienza Refuge area with a car if you happen to have one. It’s actually a very scenic and interesting drive up the mountain. 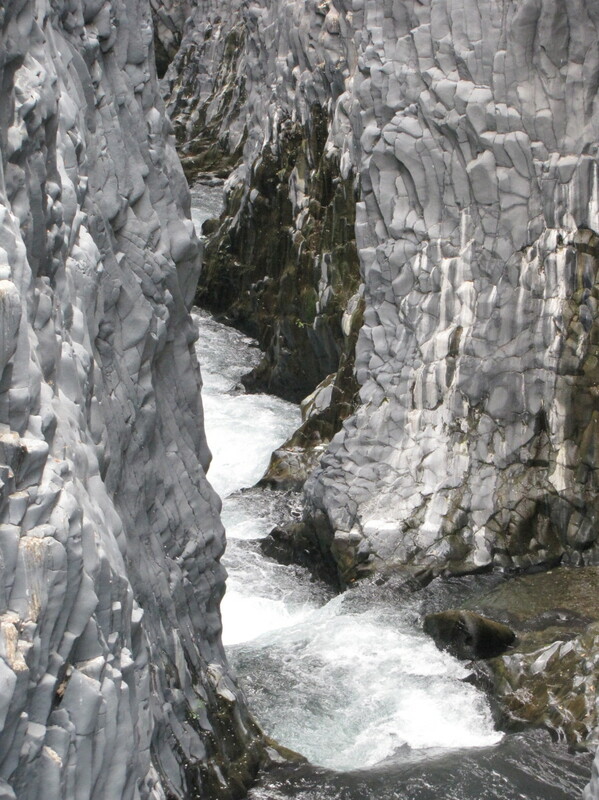 Another interesting thing to do on Mount Etna is to visit the Alcantara Gorge. Located on the northeastern slopes of Etna, this gorge was formed thousands of years ago when the Alcantara River carved a gorge through a lava flow. Today it provides a refreshing break from Sicily’s summer heat as visitors can swim, hike, and explore the gorge. Located just north of Mount Etna in the Tyrrhenian Sea is a small group of islands that were formed by volcanic activity over a period of 250,000 years. 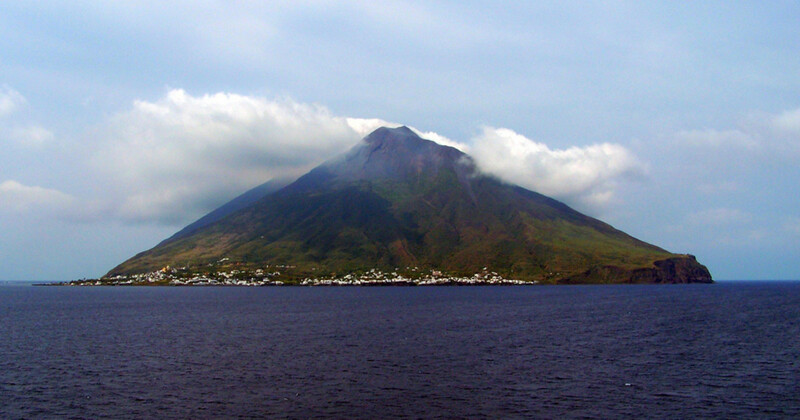 The Aeolian Island chain consists of eight islands, two of which are considered to be active volcanoes. Vulcano, appropriately named, is one of these. Although it last erupted in the 1800s and is presently dormant, it is technically considered to be active although most scientists do not count it among Italy's three active volcanoes. 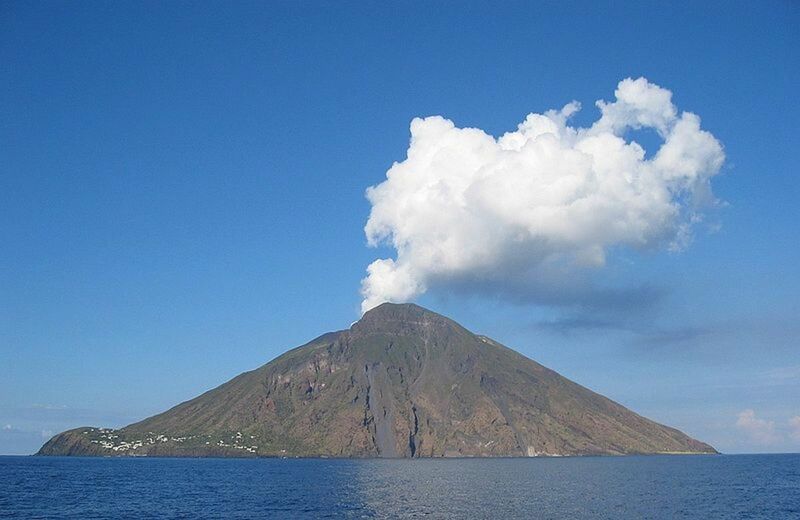 Of much more interest, however, is the island of Stromboli, which is considered to be in a constant state of eruption. The island is made up of pretty much just the volcano, which rises dramatically out of the sea to 3,000 feet in elevation. In an eruption cycle for about 2,000 years, its last major eruption occurred in April of 2009. There is little room on the island for anything but the volcano itself, although there are a few small coastal villages that are home to the five hundred or so residents of the island. Often referred to as the “Lighthouse of the Mediterranean”, Stromboli’s eruptions produce lava-like rocks that glow at night and give the island its nickname. The only way to visit Stromboli is by boat and there is regular service from Naples and Sicily, and between the other islands of the Aeolian chain. Surprisingly, the Aeolian Islands draw over 200,000 visitors every year. Once on the island visitors should be prepared to do some walking as there are no cars, buses or trains (Scooter rentals are available). If you wish to spend the night on Stromboli there are a few hotels although most visitors to the island come just for the day. If you wish to climb to the summit of Stromboli you will need to do so with a guide, which can be hired on the island. While a visit to the Aeolian Islands will not be for everyone, a trip to Stromboli can make for an exciting and scenic day for the adventurous spirit. Italy’s most famous volcano just might be Mount Vesuvius. Responsible for burying the ancient cities of Herculaneum and Pompeii in 79AD, Vesuvius sits prominently on the Bay of Naples in the Campania region of Italy. Unlike Etna and Stromboli, Mount Vesuvius is not in a constant state of eruption and its last significant eruption took place in 1944. However, due to its proximity to the high population center of Naples and its violent history, it has been included on the United Nation's sixteen “Decade Volcanoes” list. 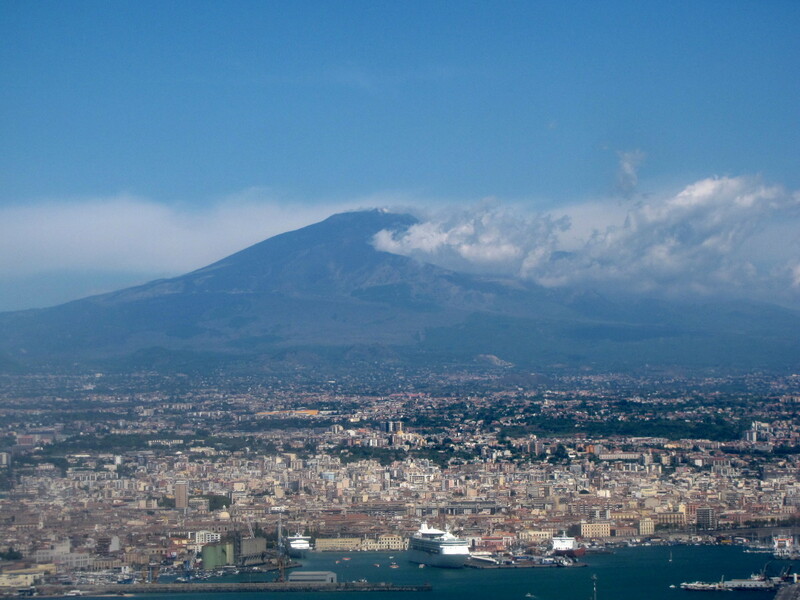 At 4,203 feet, Mount Vesuvius provides for dramatic views from almost anywhere on the coastal region of Campania. 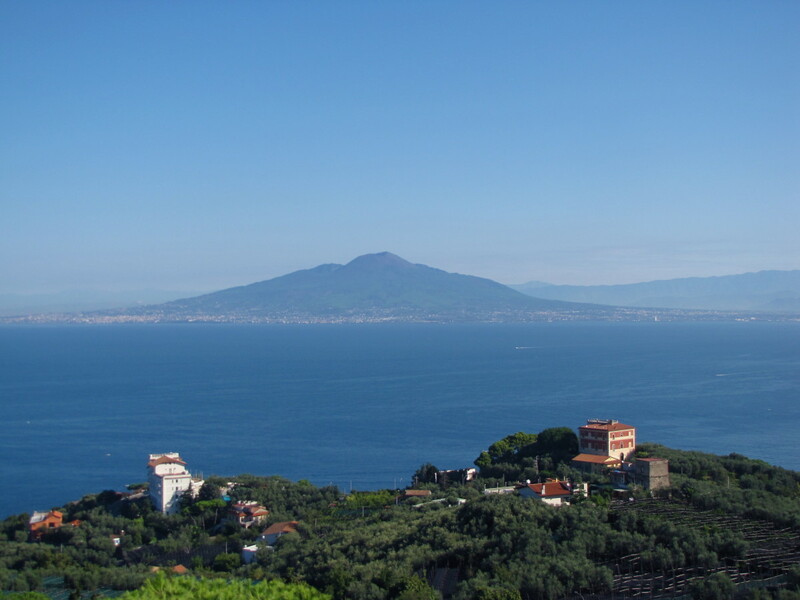 From Sorrento in particular, visitors are afforded spectacular views of the mountain. 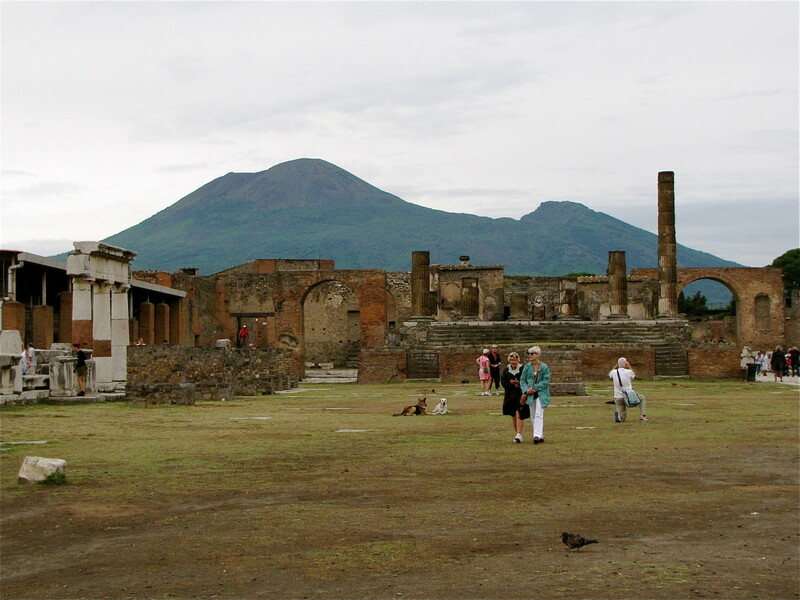 For most visitors Mount Vesuvius is the backdrop on a visit to Pompeii or Herculaneum, which were both buried by the 79AD eruption. If you wish, you can drive or take a bus up the slopes of Vesuvius where you can hike the perimeter of the crater. Keep in mind that the drop off point for taxis and buses is the National Park entrance and it is a significant walk from here to the summit. The fee to enter the National park is 6.50 euro and bus tickets from Pompeii will run you about 10 euro. If you drive, parking at the upper parking lots will run you at least 2.50 euro. Buses to Pompeii run from both Sorrento and Naples and visitors can also take the circumvesuviana train, which cost about 4 euro roundtrip from Sorrento and slightly more from Naples. 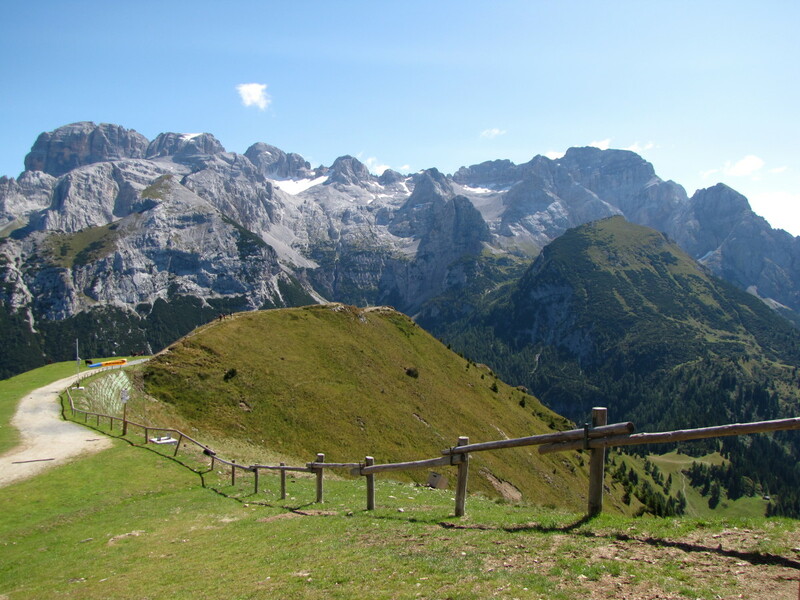 For the really adventurous and active out there you can hike the 6k winding road to the summit. Just be sure you have adequate water and clothing with you as the weather at the summit can vary greatly from the valley below. Italy’s active volcanoes are some of the most closely monitored and watched volcanoes in the world, and as such are considered safe destinations when eruptions are not occurring. With the current technology available today, scientists are confident that if a major eruption were imminent there would sufficient advance warning. 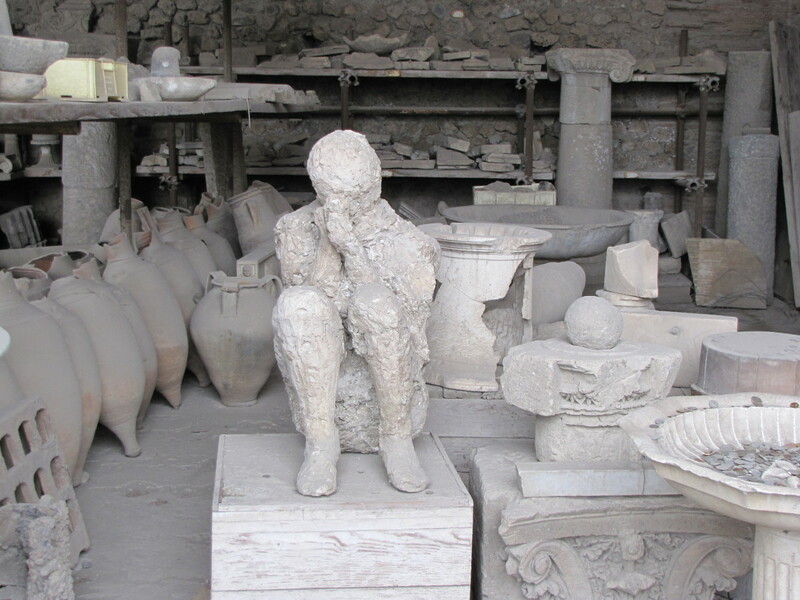 Particularly in the case of Mount Etna and Stromboli, which are constantly erupting, precautions are taken to ensure the safety of visitors and when eruptions are occurring these areas are off limits. This cluster of three active volcanoes forms one of the densest areas of volcanic activity in the world, yet plays host to millions of visitors every year. 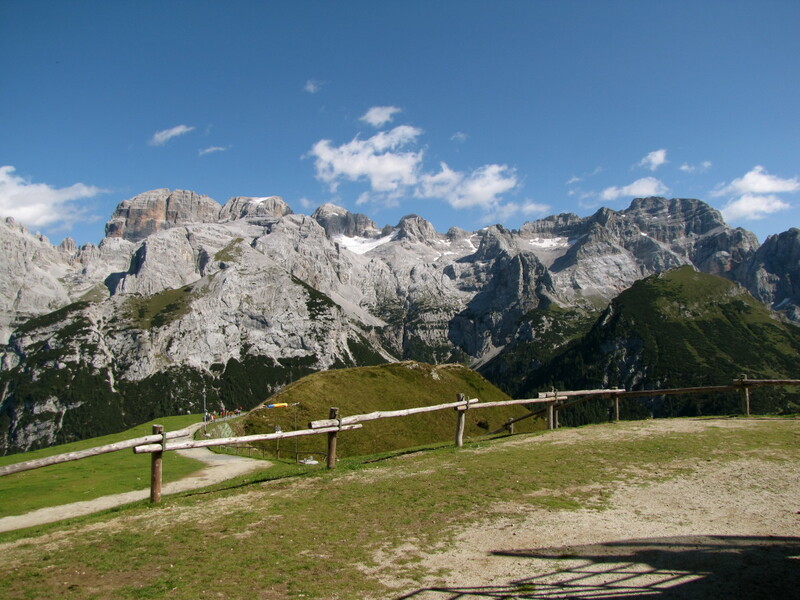 If you are heading to Italy be sure to pay a visit to one of these great geological wonders. Thank You FA. I just hope none of these have any major eruptions in the near future. 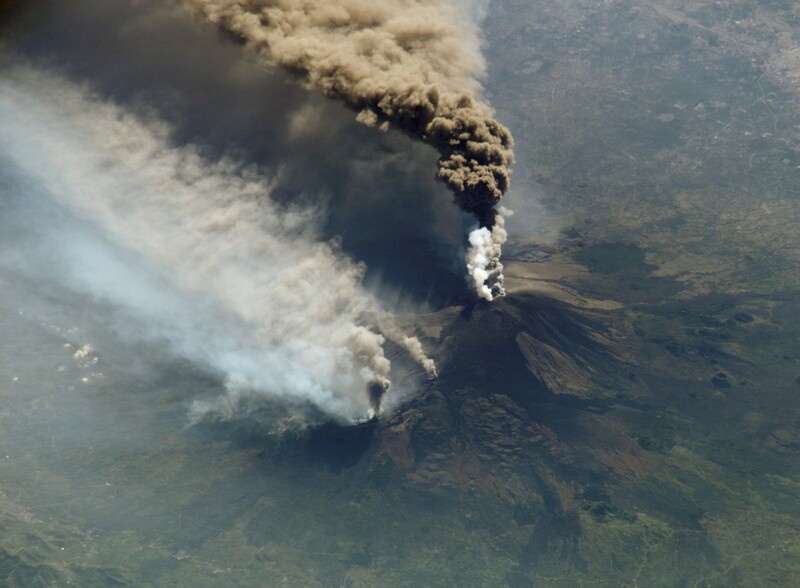 Etna is constantly erupting but they are not large enough to threaten Catania or Taormina. 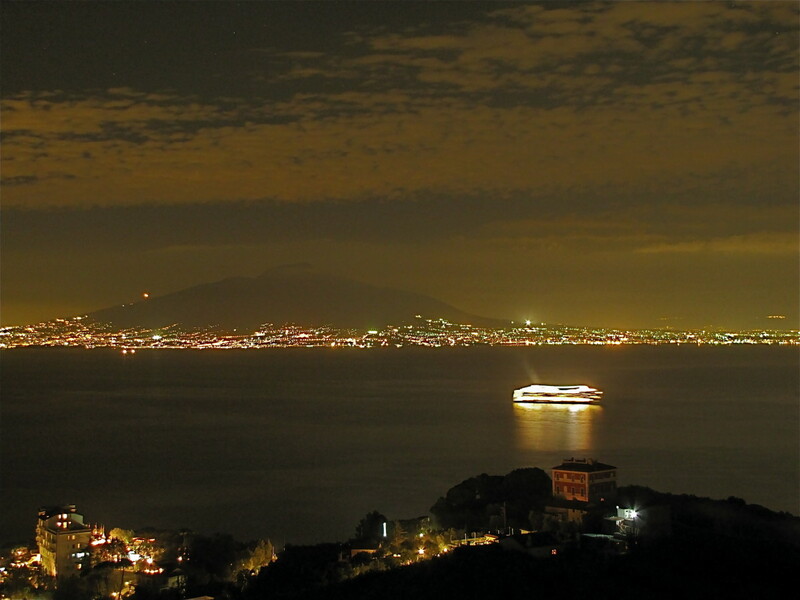 Mount Vesuvius was beautiful and that night photo is one of my favorites. Thanks so much as always for the vote, share, pin, etc... Have a great weekend. I had no idea Italy had these active volcanos. Very informative hub, and the photos are beautiful, especially of Mount Vesuvius across the Bay of Naples at night. I'm glad the volcanos aren't scaring anyone away. Voted up and more, sharing, pinning. Hi Kbdare. Thanks for the visit. I like the shoulder seasons, especially September to October. The summer months are way too crowded and it's Hot. May to June is also a good time. Have a great day. Thanks Arun. Appreciate you taking the time to read and comment. Have a great day. Thanks rajan. We've had the opportunity to visit Mount Vesuvius and Etna, both very interesting. Many thanks for the vote, share, pine. etc... Have a great day. Nice Hub and wonderful pictures!! What time of the year is best to visit? Thanks for sharing! Very interesting information bill. I haven't had an opportunity to visit any scene of volcanic activity but I'm sure it must be an interesting visit. Voted up, useful and interesting. Shared and pinned as well. What an interesting topic! The volcanoes in Italy certainly add a dramatic backdrop to some scenic areas. I did not realize that they were carefully watched because they are considered so active. Enjoyed this hub as always. UUI votes and wanted to share, but those buttons are missing for some reason. Will come back another time to share. Also sending to my husband who with luck will be making another trip to Italy in the near future. Thanks Glimmer Twin. Yes, the view of Mt. Etna and also of Vesuvius is stunning. Stomboli is the least known of Italy's active volcanoes because it is on a very small island and does not get the number of visitors that Etna and Vesuvius get. Many thanks for the visit. Have a happy New year. Another great Italy hub. I remember going to Sicily many many years ago and the view from my hotel room was of Mt. Etna. There's a view! Never hear of Stromboli though. Thanks for a great tour. Hi point2make. Thanks for the nice comments and for stopping by to read. I really love that photo of Etna from space also. When we were there it was not erupting but it was still amazing to see and visit. Many thanks for the vote, have a great holiday. What a super hub. I loved your photos and I didn't realize that Italy had three active volcanoes...thanks for the information. I find volcanoes fascinating and incredibly beautiful, that photo of Etna from space was amazing, but they are also very intimating and scary places. I appreciate your efforts...thanks again. voted up. Hi Bill. Your dad got the grand tour of Italy during WWII. I remember you mentioning that he was in Sicily at Agrigento also. Have a great Christmas and a happy New year. Hi Natasha. Thanks for the visit. Hopefully you'll get to Italy someday soon. Volcanoes aside, it has so much to see and do. 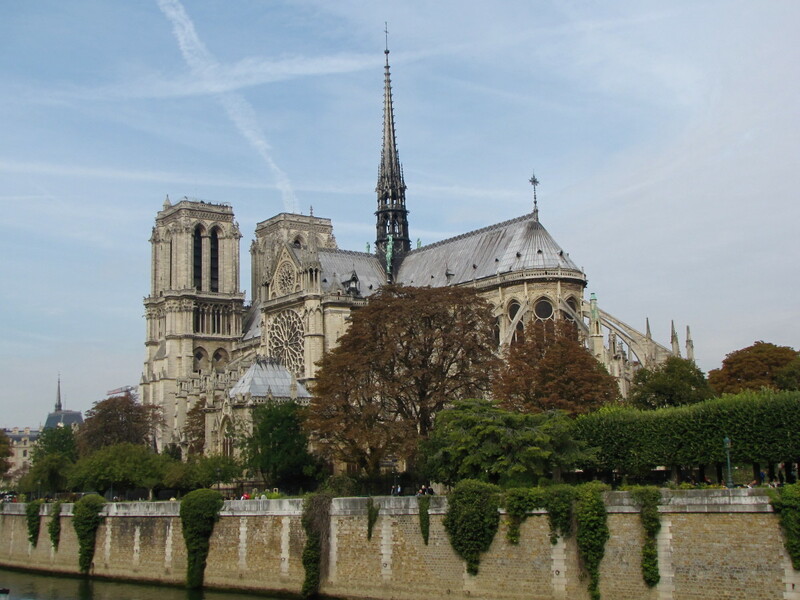 We would love to get to southern France, have read that it is somewhat similar to Tuscany? If so, can't wait to get there. Thanks again and have a great Christmas. Hi Suzie. Thanks so much for the comments, vote, share, pin, etc. We really had a great time exploring on Mt Etna this past trip. 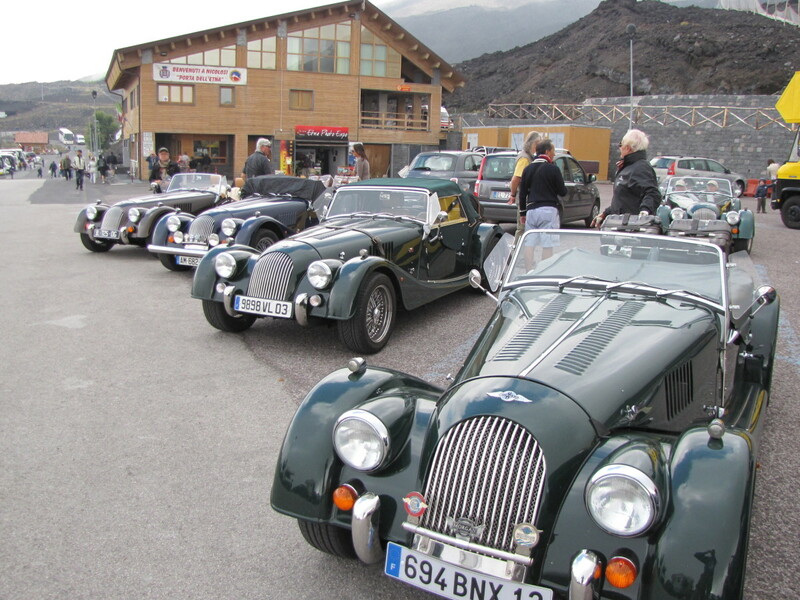 We were surprised to find a car club showing their antique cars at the Sapienza Refuge area, just another added bonus. Also, there was a restaurant that was cooking outdoors on the grill and they had a band playing! It was all very unexpected but a great surprise and made for a great time. Many thanks as always. Have a wonderful Christmas. My dad was with the army when Vesuvius blew in 1944....that was one part of the war he talked about. Thanks for the tour my friend, and Merry Christmas to you and yours. Cool photos! I've spent two summers in the south of France, but never went to Italy, and I've been to Hawaii, but didn't look at any volcanoes! I think I need to plan my trips a little better. This is a wonderful look at Italy's top 3 volcanoes. 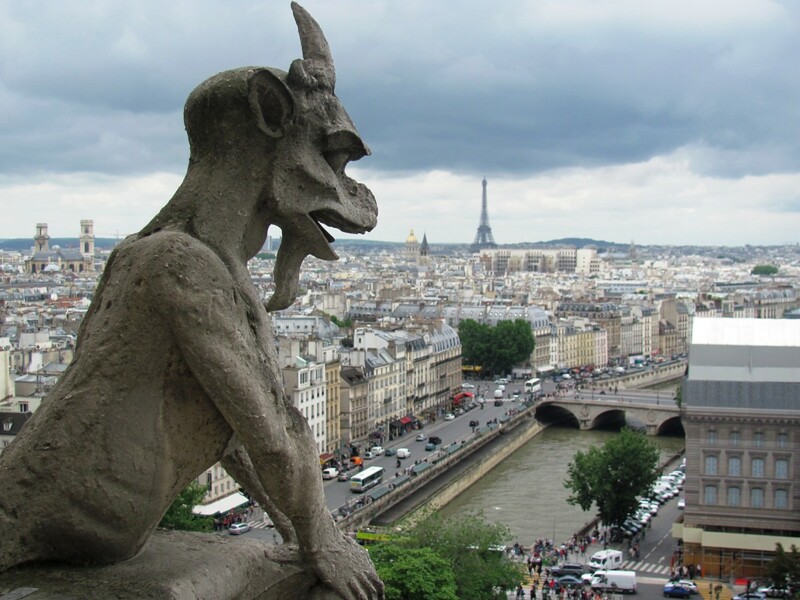 The information and history is fascinating and great to know when planning a trip. Mt Vesuvius is the only one I have seen (at a distance) but definitely will be keeping this for when I get to Sicily and. Love the photos throughout and your pic taken at Sapienza Refuge area with the old classic cars looks striking. Car club trip? Great in-depth hub jam packed with awesome info - superb job my friend with interesting engaging writing. VU, more, shared and pinned!! Thanks Sheila. If you get the opportunity to visit Italy, just go. You will not regret it. It really is beautiful and just full of history and amazing scenery. A trip to one of Italy's volcanoes is something you will never forget. Thanks so much for the visit, glad you enjoyed the hub. Have a Merry Christmas and a Happy New Year. Hi Carol. Thank you for stopping by. I always enjoy putting these hubs on Italy together. They bring back the great memories of our trips. Many thanks for the vote, share, pin, etc. Have a great weekend. I always enjoy my Italian adventures.. I feel like I am right there seeing all these wonderful sites. Lots of work and thought behind these fine travel experiences. Thanks for sharing..I am also going to share and pin. Voting UP of course.